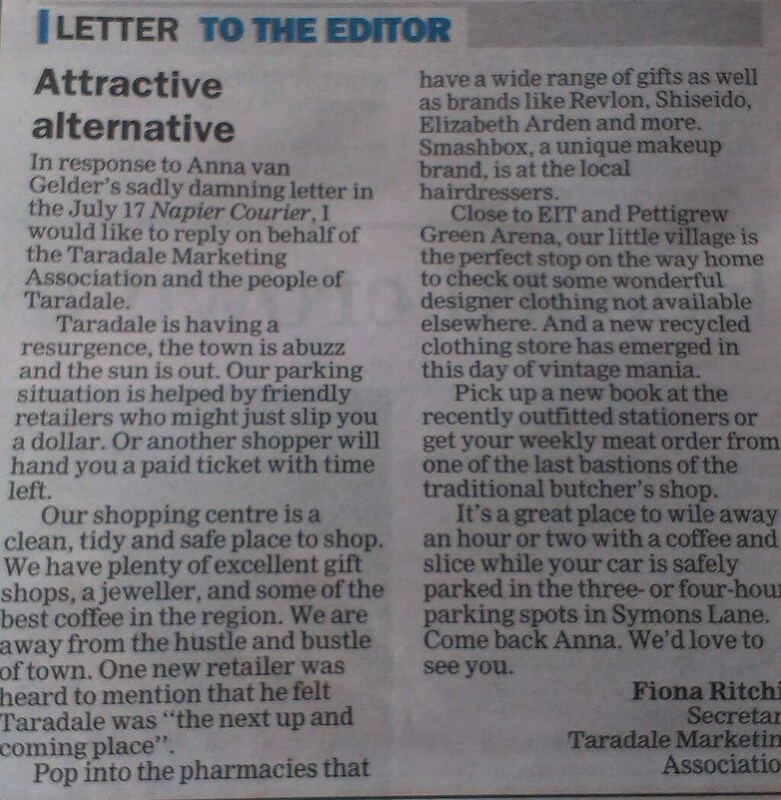 To paraphrase Meatloaf: “One out of three IS bad” Yes, the sun is out, but no the town isn’t abuzz, unless you count tumbleweeds and how could anyone let alone Taradale’s own promotions group think it’s “resurgent” when there are a dozen empty shops in their main street? You wanna’ bet? With retailers struggling for survival due to the parking meters scaring shoppers away, how many of them would be willing to GIVE AWAY money? The rest of the letter descends into the usual terminally optimistic fluff that far too many Hawke’s Bay marketers have fallen back on rather than engaging in fixing the negative issues they face over past decades. I think these are adages that too many of Napier’s older; retail precinct focussed “marketers” have been guilty of ignoring for too long. You will all too often read or hear that, according to them, things are just fine and dandy. When in reality a wheel may have already fallen off and others look decidedly shaky. My EIT Diploma in Marketing may not have turned out to be worth the paper it was printed on, but it at least taught me a few key points on the subject. One of those things was that one of marketing’s cornerstones is “S.W.O.T.” analysis. It stands for “Strengths, Weaknesses, Opportunities and Threats” and is a core starting point for any project, outlining what they are good at, what they are bad at, what they can do to be better and what can get in the way of them achieving their goals. The “terminal optimism” as I call it expressed in such press releases flies in the face of such sensible practices as “S.W.O.T.”. I may not be one of the cheeriest people on the planet, but at least my “realist” (some would say “pessimist”) outlook allows me to recognise problems, come up with possible solutions and truly appreciate and celebrate the successes when the problems are fixed and things are better than ever. I like Taradale shopping centre and wish its retailers all the best as I feel they’ve been given a bit of a raw deal since their town centre upgrade. I just wish the promoters they doubtlessly pay a reasonable fee to would wake up to, or at least acknowledge the fact things aren’t all that great and take serious actions to remedy the problems they face. Otherwise people will not be able to see the Taradale’s “resurgence” for all the empty shops. 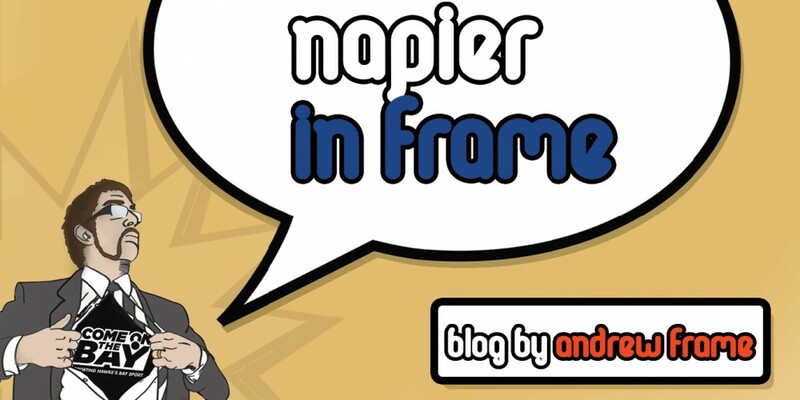 This entry was posted in Hawke's Bay, Opinion and tagged Napier, Opinion, Retail, Taradale by Andrew Frame. Bookmark the permalink.